The use of composite materials in drive train casings to improve range and efficiency of electric vehicles explored in new paper. Drive System Design (DSD), transmission and driveline engineering specialist, will present details of new EV transmission technologies at the Low Carbon Vehicle Event 2017 at Millbrook (September 6-7). The paper, Ultra-lightweight design of a single speed EV transmission, explores the potential gains of adopting a full system approach to transmission mass reduction for EV applications, including yield savings of more than 30% when compared to conventional transmission designs. 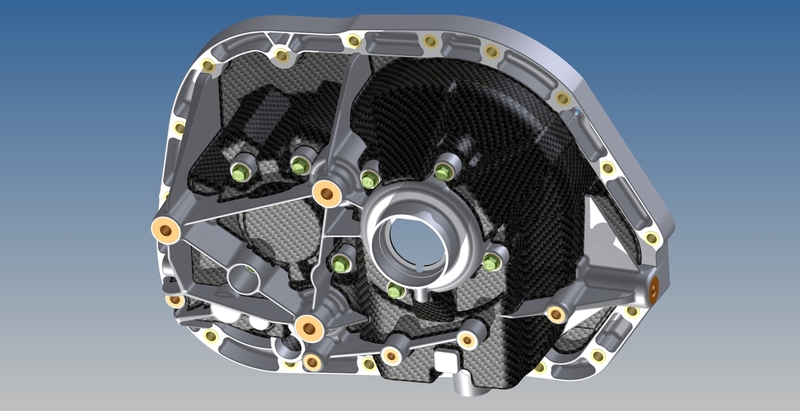 Ultra-lightweight design of a single speed EV transmission also explores the practical use of structural thermoplastic composites, new processes for forming such materials and offers an objective assessment of using a full-system model to achieve weight saving at a system level. A second paper, The future of the connected powertrain, will be presented by DSD’s Head of Electrified Powertrain, Simon Shepherd. He will offer a cost-effective monitoring system that provides a step-change in the understanding of individual transmission usage profiles by interrogating the data available through increased levels of vehicle connectivity.